My favourite platform to use is Instagram and with the rise of Instagram Stories, I’ve been able to share more details about my day-to-day in a creative way! Similar to SnapChat, Instagram Stories is a feature that lets you post photos and videos that vanish after 24 hours. Within such a short timeline, I want to create engaging Instagram Stories that can showcase what I’m trying to promote but in a much more visually presented way. 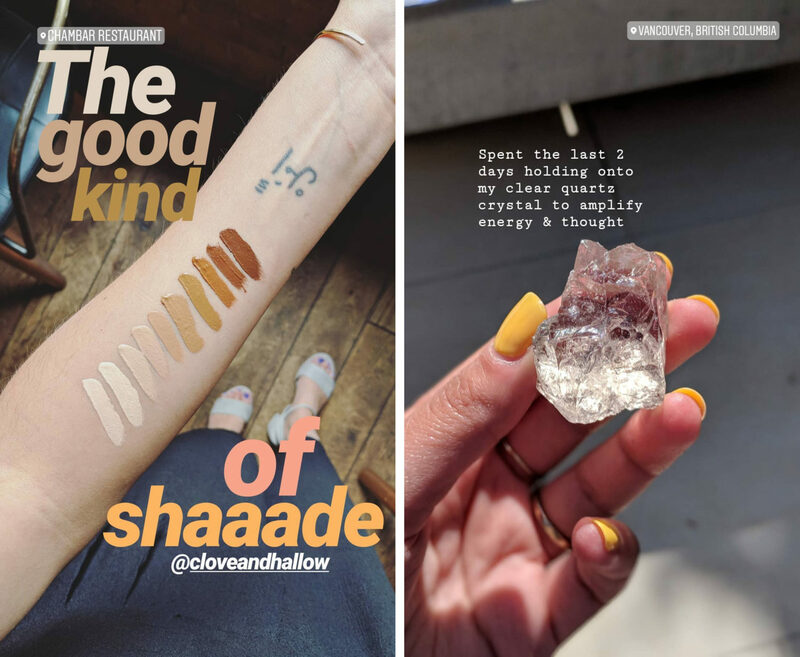 I’ve definitely fallen guilty to long stories, like my 88 story beauty review (that will never happen again) but Instagram Stories is not the place for super long posts. If you have a lot to say, I recommend creating a video, a blog post or a live video. However, I know that a lot of my readers enjoy quick beauty edits and will watch a 20 story beauty review instead of having to go to another website like YouTube for a longer video. So, I’ll create a post like that every so often in the month. Just remember who your audience is. 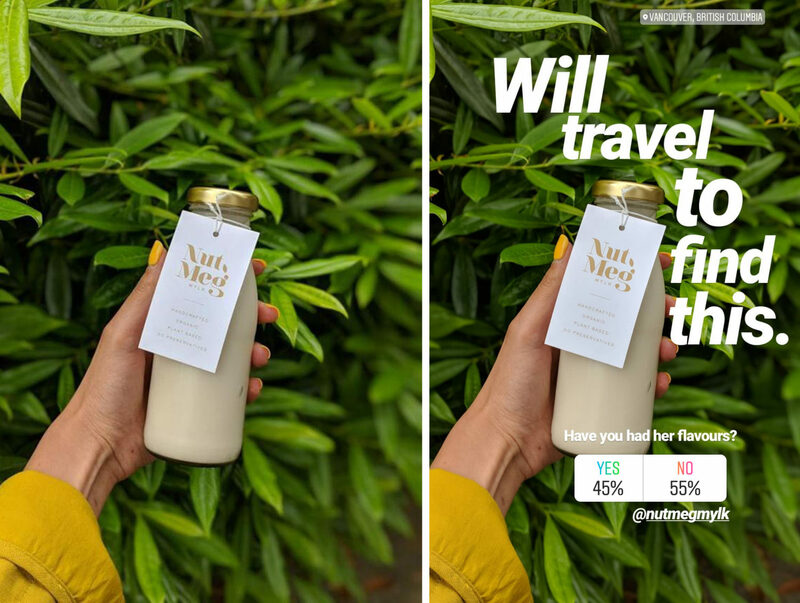 So, what type of posts can you upload to Instagram stories? Live Videos – You can save your live video to your story and your followers can watch it later. If you’ve taken your video outside of Instagram Stories and need to seamlessly chop it up to fit into the 15 second time-frame. I recommend using the app CutStory. It will divide your long video into 15 second clips and you’re good to go! Other than videos, I post a lot of photos because a picture says 1000 words and sometimes your viewers don’t have the time or space to listen or watch a video (with sound). With that said, Instagram Stories is not the place for long paragraphs but more so quick snaps that create interesting story-lines. As a Blogger, I need to find creative avenues to promote items and brands without looking like a commercial or advertisement. 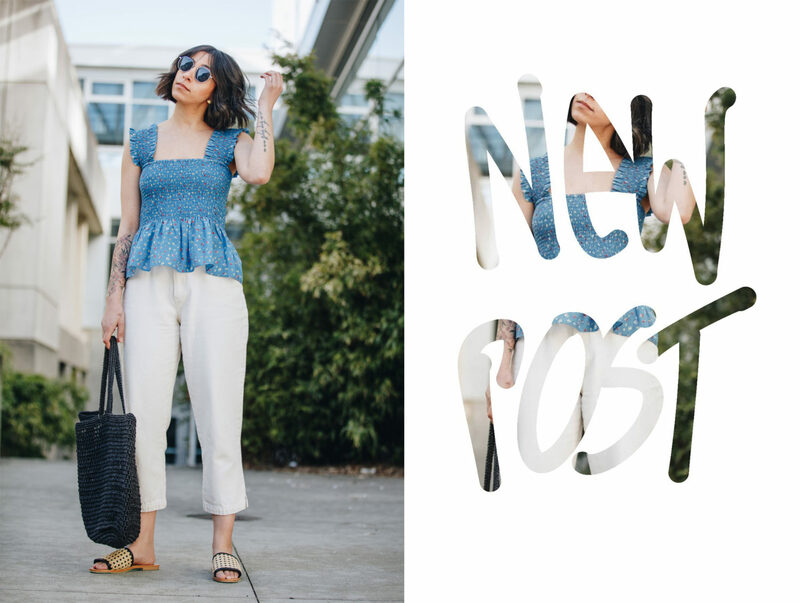 I use Instagram Stories to promote new outfits, new purchases, educational facts about brands and products, blog posts, food I enjoy and lifestyle moments out and with friends. 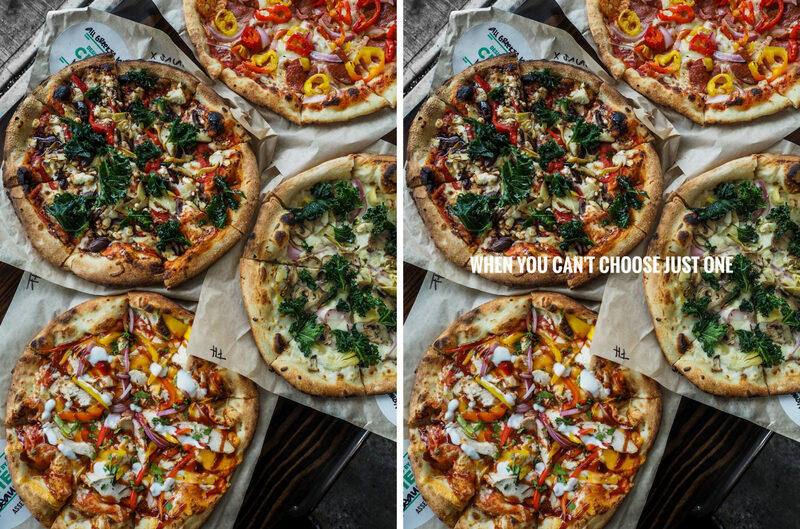 Let’s dive down into a few examples on how I use photos Instagram Stories! 1. When I’ve purchased new clothing with a brand sponsor: I originally took a full body image to create a space that I can place type to provide a focus to the yellow jacket. 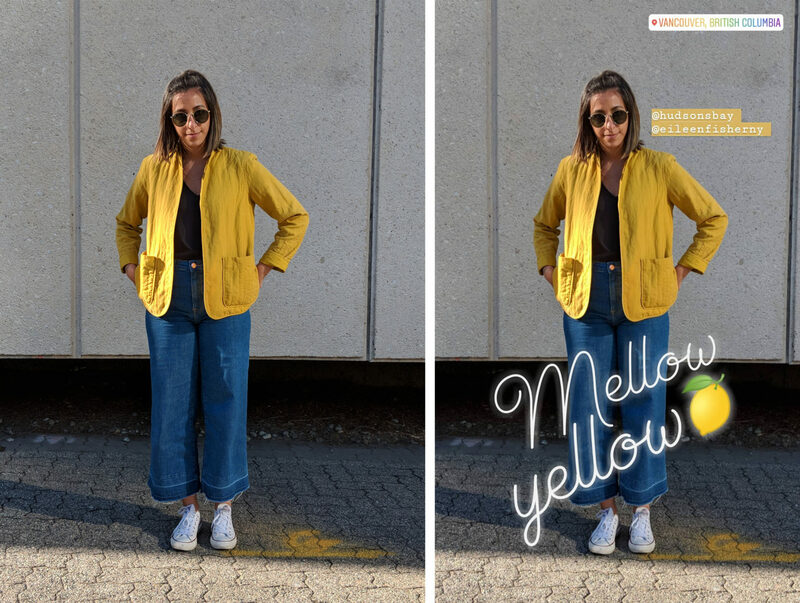 Using words that allude to an item, like “Mellow Yellow”, it tells you that the post is about a yellow jacket and by tagging the brands in the negative space, I’ve created a call to action to have you check that brand out and promote where it was purchased. 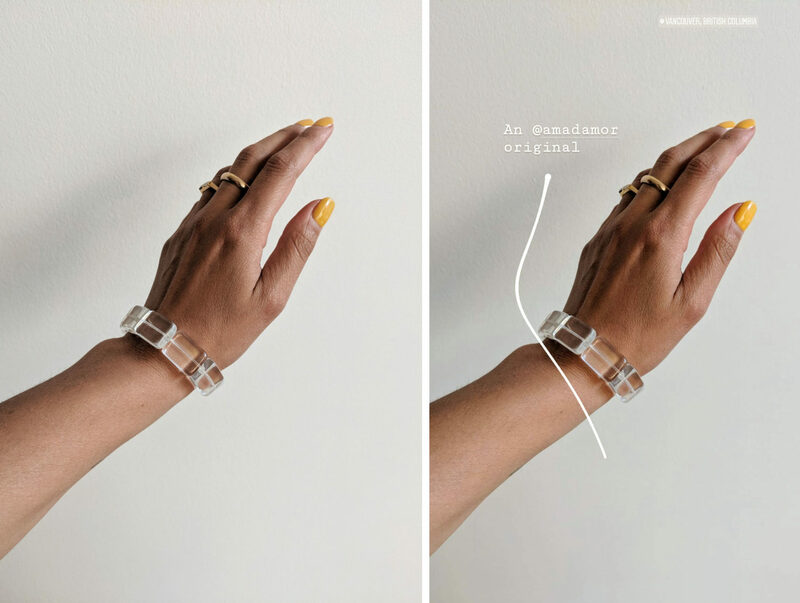 Much like the above, this image is showcasing multiple items in one image clearly but adding a minimal line as design is actually pointing you to the item of discussion. 2. When I want to promote a new post: If my intention is to create a call to action to have you visit my Instagram page, I don’t want to just give the image away. I’ve used the brush tool to cover up the entire image and the eraser tool to create cut out preview lines to create curiosity and to see the full image, you’ll need to visit my page. Additionally, if you’re trying to send people to your blog post, you can do the same thing but add the “link” feature and type “Swipe Up”. 3. When I want to tell you information about a product in 1 photo: In the left image, it was my challenge to promote a brand’s diversity within 1 image. Through the image of multiple shades of makeup available on my arm, you now see the variety of shades available. 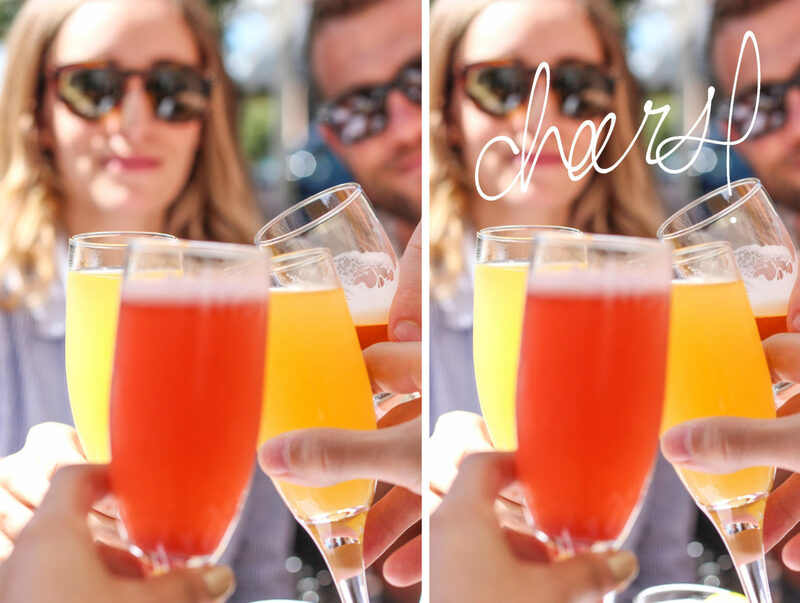 Using larger font around a smaller part of the image boxes it in and focuses your eye on the line down the arm. In the right image, I’ve vaguely described what I’ve done while educating you on why in 1 sentence. The more you’re able to do that, the more likely your viewer is to engage with you with questions. 4. When I want to gauge interest in a product: Using the polling feature is a great way to understand your viewers interest and awareness of a product or brand. However, I’ve left the poll as the final interaction on this post so that my viewers don’t think I’m asking them for anything but more so suggesting something. By saying “will travel to find this” it shows that it’s worth trying without saying a lot about it. The left image showcases the original image with lots of empty space for type. 5. When I want to share what I’m doing in 1 word: I like to share what I’m doing on my day-to-day with my readers. 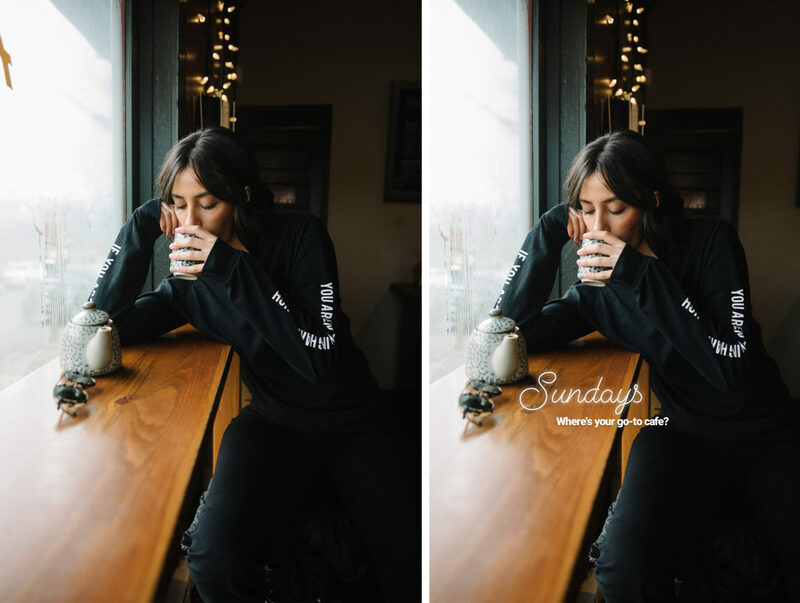 This image showcases me doing my weekend routine and by typing “Sundays” it clearly showcases that on the weekend, more specifically Sunday, I enjoy to relax and have a cafe session. This image is already busy and doesn’t need a lot of type but does leave room to engage your audience with a question. Much like the above image, create a scene and add 1 word to umbrella the feeling. Cheers! 6. When I want to showcase everything that I’m eating in 1 image: Food is one of my favourite objects to photograph! When you gather all of the items in one image, you’re able to create a super engaging photo that creates call to actions of your viewers asking what everything is. Additionally, using apps like Snapsneed can offer you more fonts that fit your style, just like the below font! Was this post helpful? If you’re looking for more tips and tricks, visit my page for the entire list! Randa!! Thanks a is absolutely wonderful. I like how straight forward it is and that you don’t tease without substance. How are you going to use this? Build email list? Sell? Very happy to see that you took this and made it into something tangible and sellable! Please let me know how I can help you. Good job, babe! A.